You can now view over 2600 photos of the village gardens and events at our new site on Flickr HERE. These photos show a comprehensive view of the development of the gardens over the years. In conjunction with the Allotments & Gardens Assn. we will again be organising the judging of Front Gardens and Hanging Baskets throughout the village. Judging will take place in April and July so please make a special effort. Prizes were awarded to the winners at the Summer Flower Show in August. 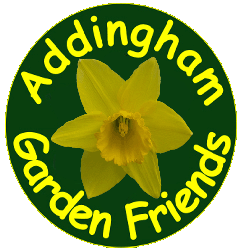 The Addingham Garden Friends is a group of volunteers helping to enhance and maintain the village open spaces and public gardens, in conjunction with Bradford M.D.Council and Addingham Parish Council. 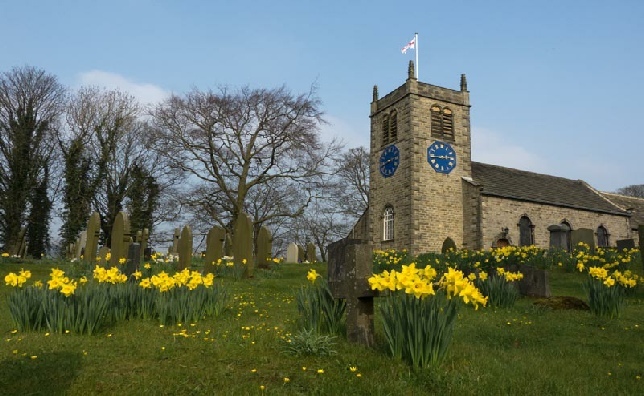 The group has planning meetings on the first Wednesday of the month in the Old School Room(above the Library), Main Street, Addingham, at 10.00am and working parties on the second Wednesday of the month at 9.30am. and at other times as required. 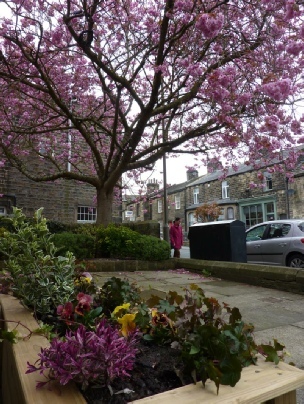 New members are always welcome - if you would be willing to spend a little time helping beautify Addingham, please contact us. 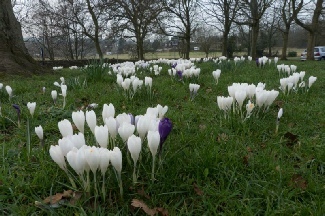 In past years we have entered the village in the Yorkshire in Bloom competition with great success - after a string of Silver Gilt (second grade) awards the village was awarded a top GOLD award, and placed first in category, in 2011 (see list of awards HERE). Addingham was invited to represent Yorkshire in the national Britain in Bloom 2012 competition against the 'best of the best' similar sized villages from the other regions of the UK (from the Channel Isles to Scotland and Northern Ireland) and we were delighted to be awarded a Silver Gilt award in this prestigious competition. See the Britain in Bloom Judges full report HERE. We have decided not enter Yorkshire in Bloom again for now, but to concentrate on maintaining and improving the village gardens. We are progressively re-planting with perennials and shrubs to replace many of the seasonal bedding areas - this permanent planting will be labour and cost saving. The next area to be changed is in the Hen Pen. Below right - Garden Friends planting up container.